Asian countries especially China are playing an increasing role in the global development. Investors from all over the world are coming to China for investment opportunities and China in return also offers preferential policies to foreign investors. The president of the Asian Infrastructure Investment Bank (AIIB) said Saturday that Asia's economic development will offer enormous market opportunities for developed countries, including the United States. 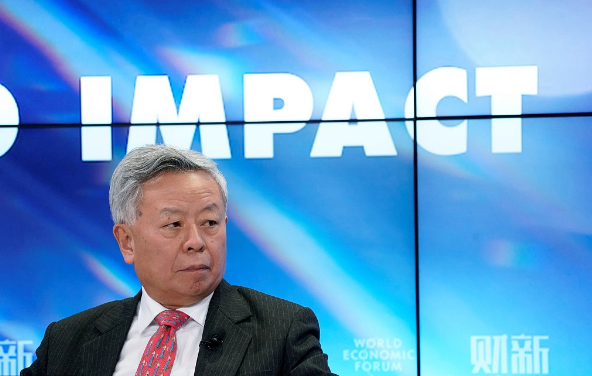 Jin Liqun, President of Asian Infrastructure Investment Bank, attends the World Economic Forum (WEF) annual meeting in Davos, Switzerland January 24, 2018. In his keynote speech at the 2018 annual conference of the Committee of 100 (C100), a prominent group committed to the promotion of China-U.S. relations and the advancement of Chinese Americans, Jin Liqun, president of the AIIB, told an audience of 500 people how the bank was created to facilitate the growth of developing countries largely based on China's experience in the past few decades. He said the China-initiated bank, which was established in 2015, was created for the sole purpose of helping developing countries along the Belt and Road routes build their infrastructure and grow their economies. Jin said the AIIB is in its third year now and that in the first two years, the bank has implemented a lending program worth 4.2 billion U.S. dollars. "The bank has been helping the Asian developing countries, particularly India, Pakistan, Nepal, Sri Lanka and Indonesia ... and the first country outside Asia we support is Egypt," he said. The AIIB now has 86 members, and it is holding a dialogue with the developing countries in Latin America and Africa to obtain their support, he said, adding that "we're actually investing in all our member countries." Jin said the AIIB is "open and inclusive," and it thus also welcomes the participation of developed countries. "If Asia develops, and if the rest of Asia develops as China, it means that a huge export market for the U.S. and European countries (will emerge), and direct and indirect benefits will accrue for all the countries in the world," said the AIIB president. He assured U.S. investors that American companies will be treated fairly if they participate in a competitive bidding of the contracts issued by the bank. He hoped for the advanced management experience of the United States in helping the nascent infrastructure development bank develop a more sound governance system for its operation. Jin was invited to be one of the keynote speakers to address the C100 annual conference in Silicon Valley. Topics discussed during the meeting included China-U.S. relations, artificial intelligence, intellectual property rights protection and innovation. One of China’s leading port city, Ningbo are also pitched in its own effort for the Belt and Road Initiative via the establishment of a Central and Eastern Europe Innovation Center. 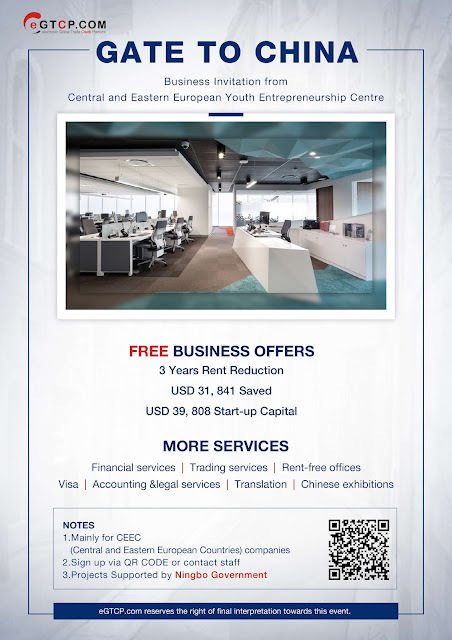 For more details, please contact us or visit us at www.egtcp.com.